EVENT REPORT: 2012 K.O.D. & Repco Pro Round 5 Double Header! Home » EVENT REPORT: 2012 K.O.D. & Repco Pro Round 5 Double Header! 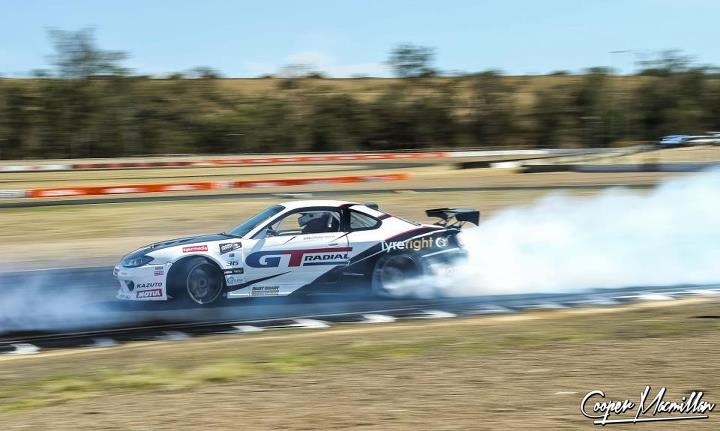 Recently we took the GT Radial S15 to QLD Raceway to take on 2 events in one day. 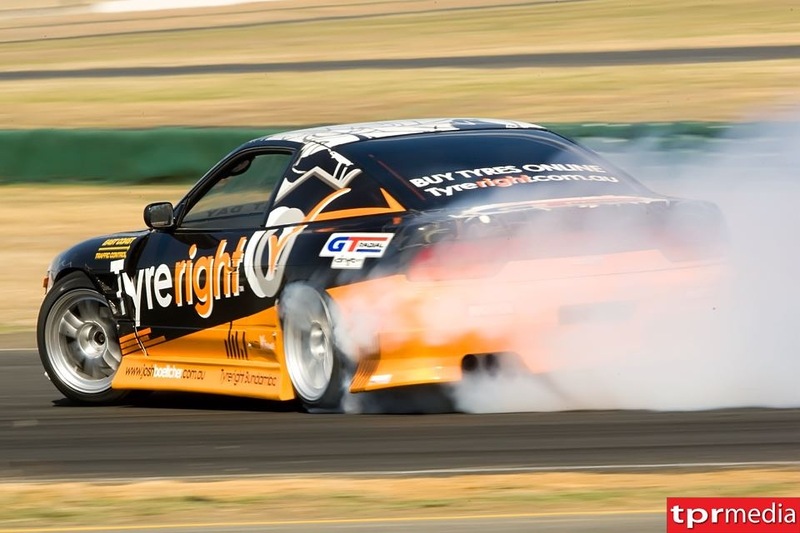 The annual Raceline Events King of Drift and Round 5 of the Stadium Drift Repco Pro Drift Championship. With the event being held close to home it was a short trip to the track early in the morning to prepare for the big day ahead. Once we arrived we got the S15 scrutineered and checked it over. Then it was time to head out on track for the warm up session ahead of the first event for the day, the 5th round fo the Repco Pro Drift Championship. 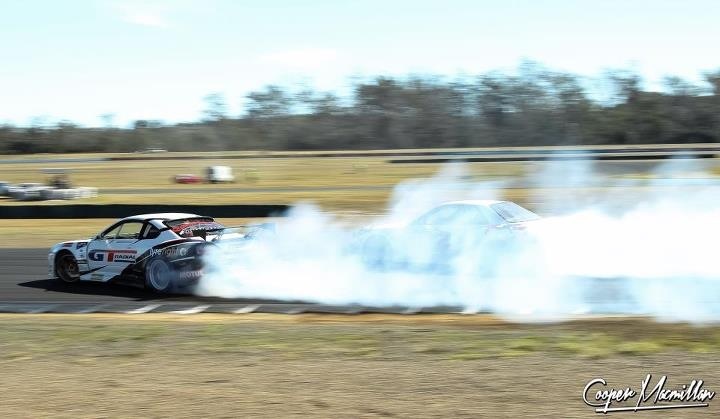 After a couple runs I was feeling fairly confident, and the GT Radials were making heaps of smoke! But the steering just wasn’t feeling quite right. I took it back to the pits and we checked over the steering as best we could before the first round of heats. It was then time to head out for the heat battles. The first battle went well and I scored some good points. In the second battle I pushed even harder and was able to stay right beside my competitor on the chase lap and pull away on the lead. When we came in for the break we checked the scores. There was only a few points seperating the top 15 and we were in 2nd place only 1 point behind the lead! We checked the steering again as it still wasn’t feeling spot on, then headed out for the 3rd and 4th heat battles to see where we would end up placed ahead of the top 15. In the first lap I straightened a little coming into the last corner and knowing I lost some points there, I pushed as hard as I could on the next lap. While I was accelerating into the first corner I felt the steering go super heavy, I had lost the power steering belt! I tried as hard as I could to keep the car facing the right direction and made it through the course ok, but it wasn’t a very strong run. I quickly got the crew to put a new belt on before the next battle. I made it through the next run ok, but in the last run of the heats I lost the power steering again and struggled through the run. With the super tight points situation back at the half way point, I knew my last few laps would have made it hard to make the finals. I needed to finish 15th or higher to at least make the B main final to get a chance at a good position in the event. While the crew tried to fix the steering the top 15 were announced. I just scraped in to the finals in 15th position! At the start of the day I was confident on going straight in to the A main, but I was happy just to make the finals considering the trouble we had. It was then time to line up for my first run of the B main against Sydney driver Nathan Weissel. I chased hard on the first run and was able to stay fairly close, but on the run up to the second run the steering failed again. I struggled through the course again and Nathan was able to stay right on me and take the win. It had been a very tough day with a result we certainly weren’t planning on. 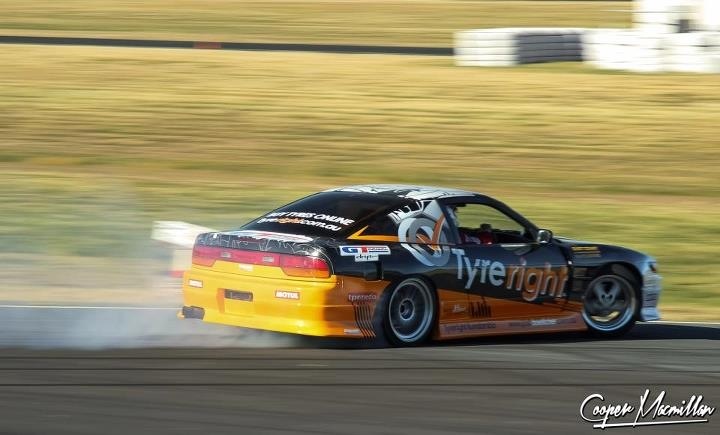 But with another event, 2012 King of Drift, still to come we had to find a way around the problems we’d had. With the track so close to the workshop, we made the decision to go for a quick drive and pick up the Tyreright Sil80 and use it for King of Drift. With some amazingly quick work, we somehow got back and had the Sil80 ready to go just in time to drive out on track for the start of King of Drift. This was a random draw knockout competition which was run on a different section of QLD Raceway. With nothing to lose I pushed as hard as I could through each battle. I was on a roll too, I made it through the top 32, top 16, top 8 and into the top 4! I then lined up against the winner of the competition earlier in the day, the very in form Tony Harrison, and went for it. The first run he stayed fairly close to me, but I could see in the mirrors it looked like he made an error on the last corner. The second run I pushed even harder again. Through the first corner I stayed close, and thanks to the huge tyre smoke he was making, I couldn’t see anything! I figured that meant he was accelerating so I kept my foot buried, guessed where to transition and came out the smoke in the right place! I stayed as close as I could through the rest of the course and when I got back to the line I was told I got the win! We were in the final! 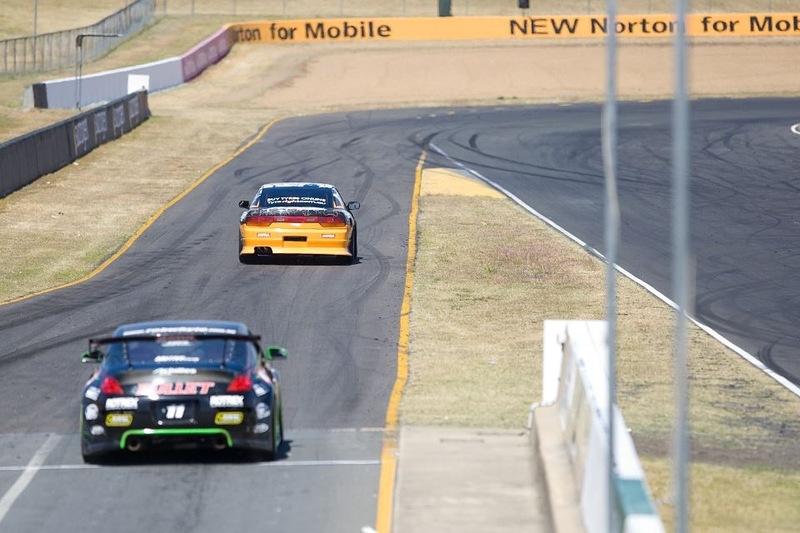 I was up against Motul team mate Rob Whyte in his Monster Energy 350Z in the final. Rob is currently leading the Repco Series and the ADGP Series, so he is definitely the man to beat at the moment. I chased the hardest I had all day and I was right on Rob’s tail through the first section, but in the second part of the course pulled away from me. In my lead run I was able to stay a little ahead of Rob through the first section, but he closed right up through the second section. After 2 very tight runs, Rob got the win and we took 2nd place in the 2012 King of Drift! Of course we wanted to win, but after such a tough day at the track the whole team was stoked with the result! 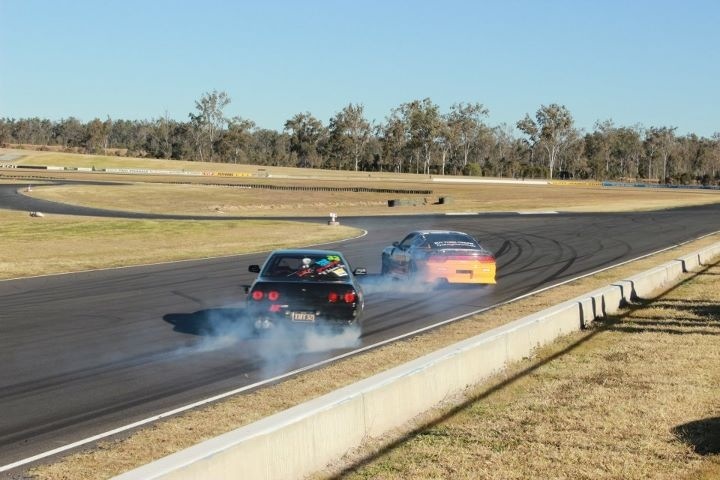 Next event is the first round of exciting new series, QLD Raceway’s Short Track Drift Series. It’s on Friday night October 5th and we expect a huge crowd for the event, with plenty of wall scraping, door-to-door action expected! 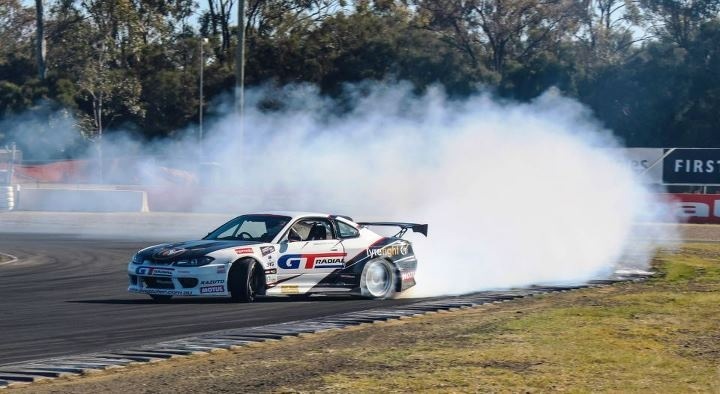 At the moment we are working hard on improving both cars, with the GT Radial S15 scheduled to be on a boat to Indonesia on the 15th October ahead of the final round of Formula Drift Asia in Jakarta on the 17th & 18th of November. I can’t wait to get back over there!